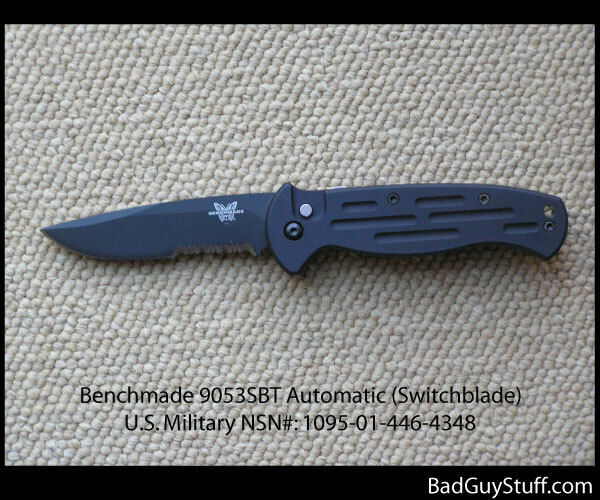 Benchmade has manufactured military-grade automatic knives (switchblades) for several years now. 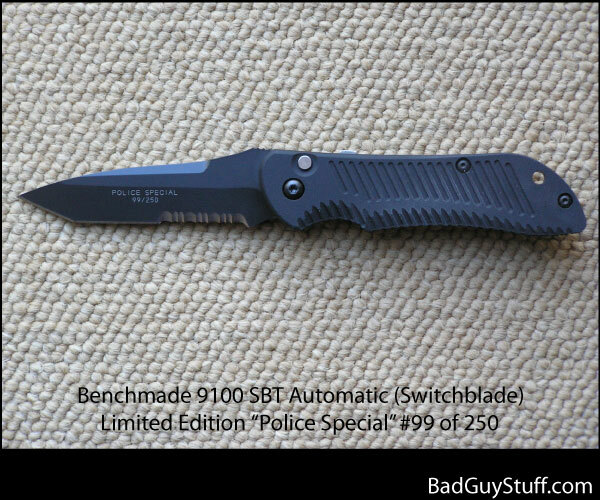 The company restricts the sales and servicing of its automatic knives to only military or law enforcement personnel. 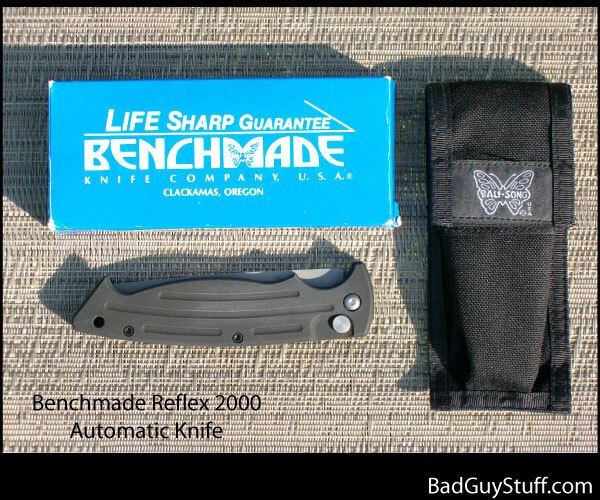 The exeception to this is that the state of Oregon does not have restrictions on the buying and owning of automatic knives by civilians. 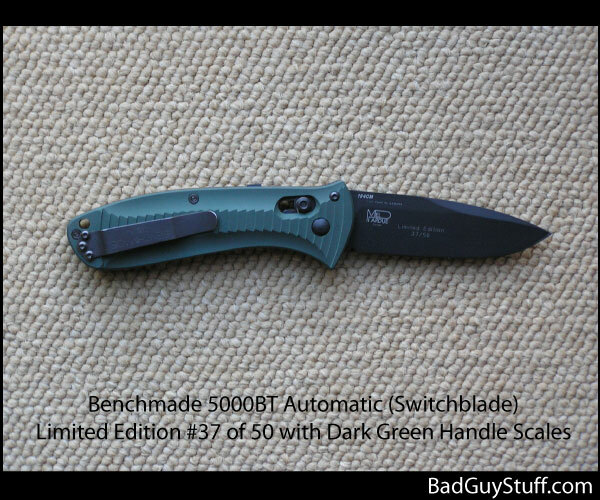 The blades in Benchmade automatics are thicker and stronger than those of average tactical knives. The blades are typically made with 154CM stainless steel hardened to 58-61HRC. And, the blades are offered in various combinations of either satin finish or black coated along with plain edge or serrated. The handles are machined out of high-strength aluminum that is black anodized. Older versions of the knives were meant to be carried in a belt sheath. The more recent models have an attached, but removable, pocket clip. 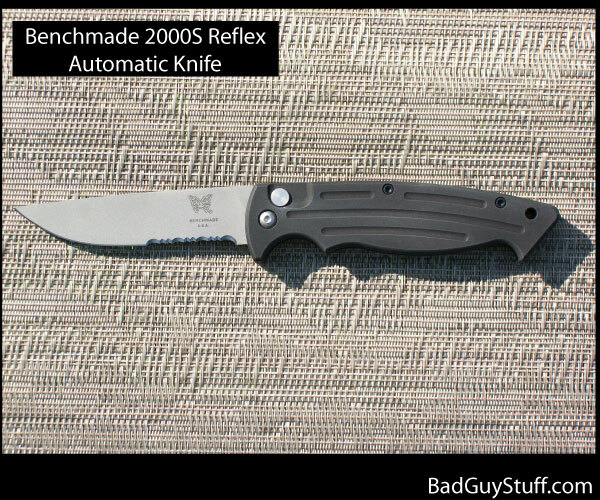 Benchmade's automatic knives are so far evolved from the skinny "stiletto" switchblade knives of 1950s and 60s gangsters that there really is no comparison. 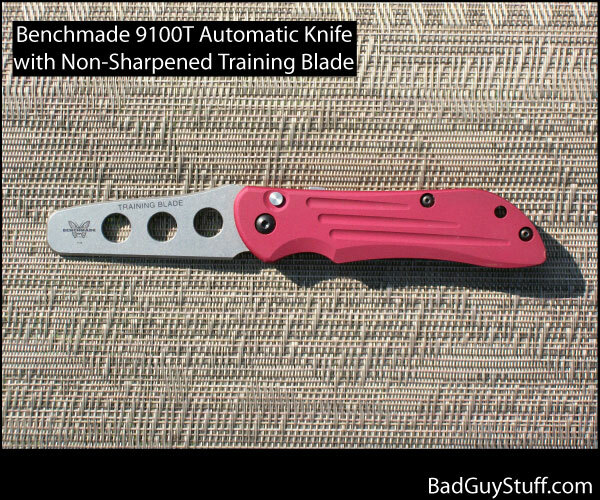 Modern automatic knives are built with heft, durability, and powerful springs that snap a heavy blade into place. They feel and function like high-end, precision tools. 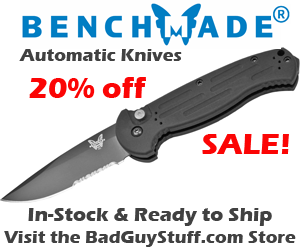 Benchmade has successfully sold its auto knives to U.S. and foreign militaries and federal law enforcement agencies. 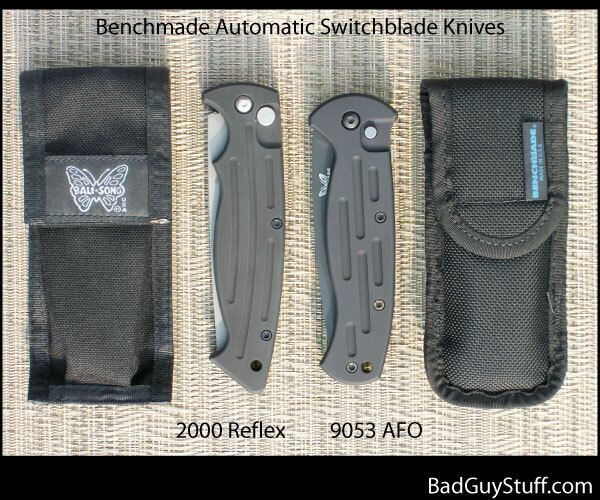 The following 8 photos reflect the most robust and popular Benchmade automatic knives. 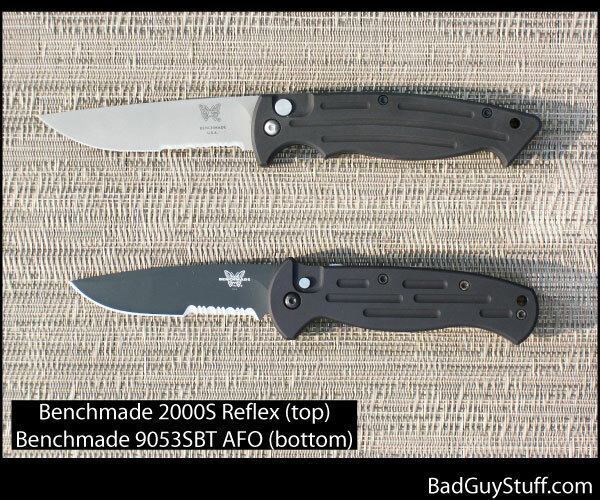 This includes the 9050, 9053 AFO, 9100 Auto Stryker, 5000 Presidio, and 2000 Reflex models.